Maybe you are wondering what the picture is below. 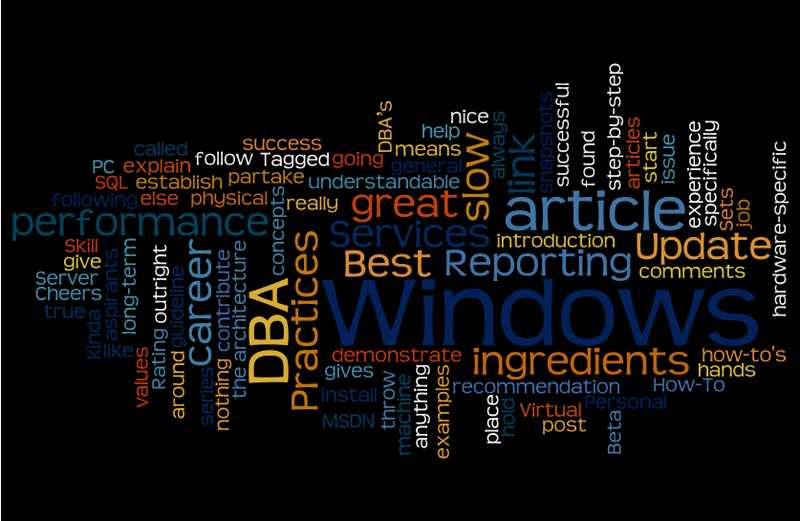 It is a Wordle map of the words found in my blog. See Brent Ozar’s and Denny Cherry’s Wordle maps.